Built for functionality and durability, the Twister Alley F1 was designed with the goal of delivering a great sweeper at an affordable price that can be maintained in the field with off-the-shelf products. This custom built sweeper is made with both the technician and business owner in mind. It provides the safest and the highest quality performance all while saving you time and money. The Twister Alley F1 stands apart from other industry sweeper trucks with its huge capabilities, for the right price. Each Twister Alley is built with the highest-grade American made steel and craftsmanship and comes standard with: industrial grade powder coating, a 3 Cubic Yard Hopper, and interchangeable, non-clogging screens. Built on a new Dodge Ram Promaster cab and chassis the Twister Alley F1 will provide outstanding fuel efficiency. You will experience industry-leading 36.3FT curb to curb turning radius with great agility and maneuverability, allowing you to sweep the toughest of lots, garages, and properties. Standard LED lighting provides operators with better visibility while an automatic sweeper head that lifts in reverse will provide a safer experience. 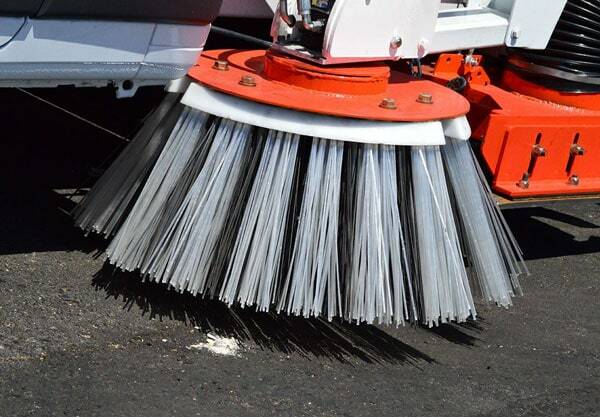 All this and so much more, including CURB BROOMS FOR LIFE will empower your sweeper vehicle operators to get the job done right the first time. 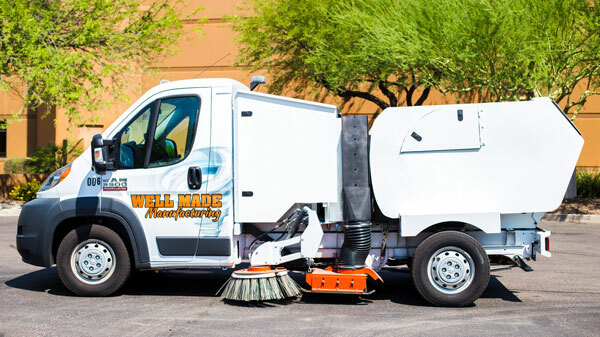 Well Made Manufacturing also offers 1800-SWEEPER Partners knowledgeable mechanics with over 60 combined years of experience, at their headquarters in Chandler, Arizona. The service facility has multiple bays outfitted with equipment and diagnostic tools to handle a variety of repairs and services. Some services include sourcing, repairing and installing parts for pressure washing trucks, pressure washing equipment, sweeping equipment, and sweeper trucks. These makes and models include Nite Hawk, Tymco, Elgin, Silent Night, Schwarze and Well Made Manufacturing’s very own, Twister Alley F1.